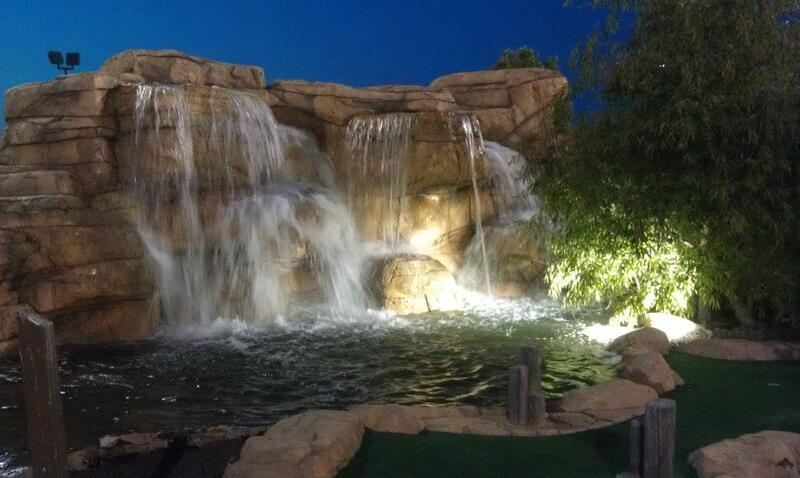 Miniature Golf: Two Hawaiian-themed courses offer you a relaxing easy round of mini-golf on the Beach Course or an adventurous and difficult round on the Waterfall Course. Retro Arcade: Replay your favorite console games from the 80's and 90's with 10 screens devoted to classic console games and two 90" projection screens with modern consoles. Over 100 games to choose from! Cafe & Bar: Not your everyday hot dog joint, the Aloha Falls Cafe features a few unique options including the Volcano Dog, and a Chocolate Avalanche ice cream float. Craft beers and sangria also available for the big kids!